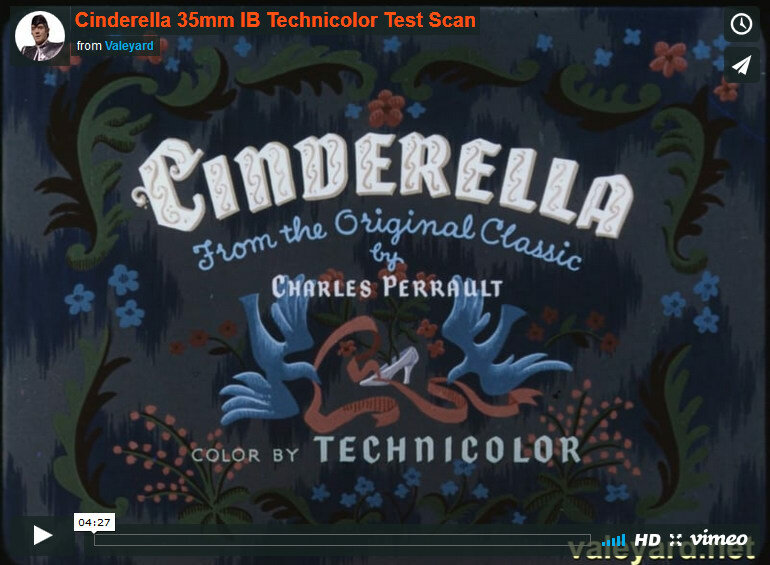 We have the opportunity to borrow and scan a Cinderella IB Technicolor print in the US. The cost of scanning this is $370. Total scanning costs are about $600. I’m sure I don’t have to tell you guys that’s a bargain, we don’t have to purchase, rent, or even ship the print. And, the print is in EXCELLENT CONDITION. Probably better condition than my print. And, unlike mine, it can be scanned as soon as NEXT WEEK! As some of you know I have a print as well and it can be scanned in the future. But this is a limited opportunity to get a print that’s in top condition scanned, and that may end up making scanning mine (which will cost more) unnecessary. And more great news, after this is scanned we can rent Lady and the Tramp from the same source for scanning. And after that is scanned we can rent Sleeping Beauty too. And more! An exclusive early release will be made available to donors, hopefully followed by a wider “myspleen” release at some point later this year/early next year. It’s heavily compressed, but hopefully shows the condition the print is in. Remember that heads and tails of reels are where most of the wear usually is. 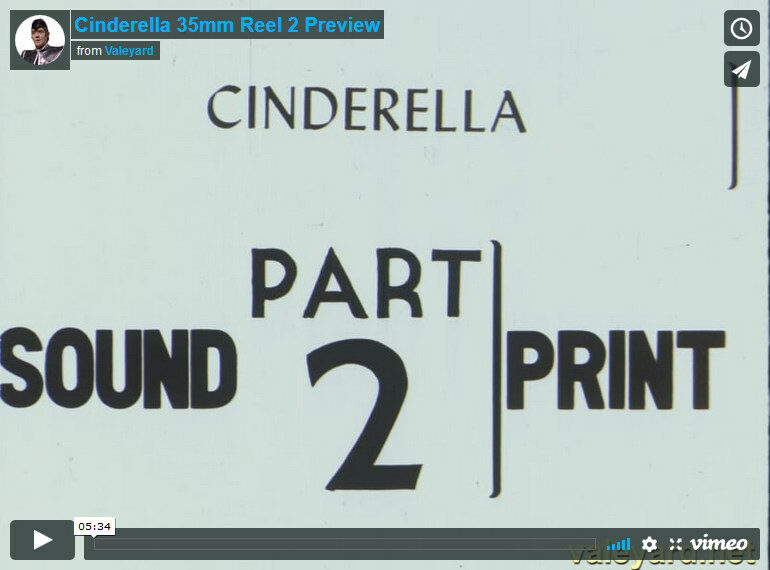 Cinderella is a two-phase project. Only donors will be given access to the phase 1 release. The borrowed print will be scanned. Early access release will be made available exclusively to donors. My print will be scanned. Great news: Project can now resume! Test scan and screenshots added to OP. I need donations to get this scanned, contact me if you wish to help! The first donation has been received from slumberdore! Many thanks. Second donation has been received from Anonymous. Thanks!! A donation was received from pleasehello - thanks! Some more donations were received over the last few days from ahughes03, Soupdrinker0, titanic, and one other person. Thanks go to all of you. We should be able to begin scanning soon. Please consider donating to this if you haven’t already done so. Another donation was also received which I’ll list as anonymous - but thank you! All donors have been sent previews of the full reels. After reviewing the condition of this print I’ve returned to the original plan. While the print is in excellent overall condition, there are some damaged sections that will need to be replaced by scanning my print at a later time. This includes both video where up to entire scenes are missing, and audio where there is severe dropout. What this means is that there will not be a public release until I get the second print scanned in the future. Only donors will get a release from this print. It is not too late to donate, so get in contact if you are interested in donating to this project! Keep in mind that mine came from the compressed After Effects preview file as I don’t have the DNG files yet. 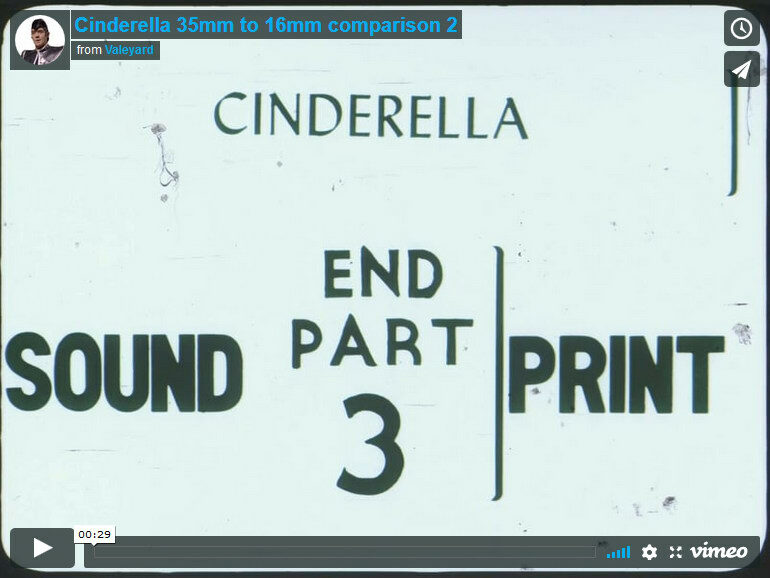 The 16mm scan came from a compressed BD25 file. 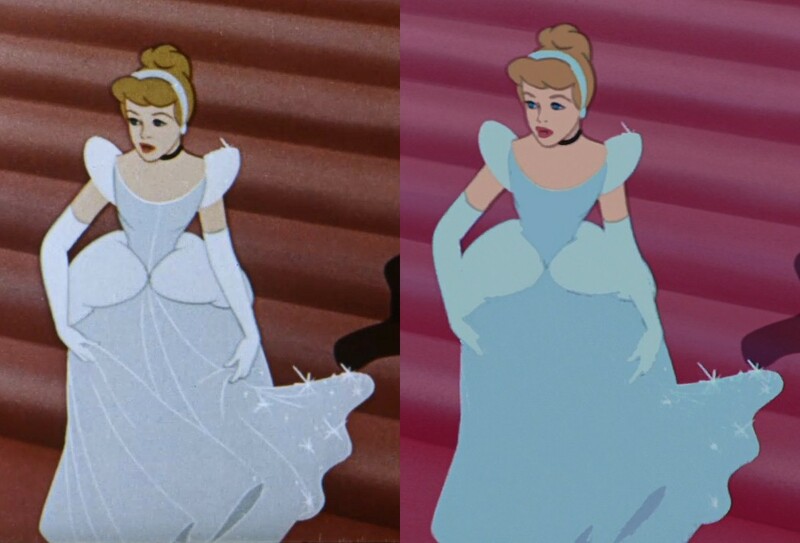 Although the colours differ between the two scans, you’ll notice that the saturation levels are similar in both. Obviously this is a reissue print, cause it has the '70s MPAA G rating tag at the beginning, and the Buena Vista logo in place of the RKONlogo. Thanks go to hombredesilla for his donation! Unfortunately it’s missing a short scene, so I patched it from a 2nd 35mm scan. The second scan is not quite the same quality as someone else made it, but see if you can tell where it is been patched? 😛 The unedited clip is here. I must admit, I got quite the chuckle out from the “missing” scene, but surely you jest when you say that scene is missing from the first print. It’s missing as first mentioned here. Ultimately we’ll need to get it re-scanned from a second print as mentioned in the OP (see “phase 2”). Still interested in donations? PM. Donation received from FrankB - Thanks! Looks, as if in some way some floodfill algorithms have been used. Quite unbelievable. And therefore invaluable what is done here. Wow… That is just terrible. I had no idea it was that bad. Yeah, that’s what I was thinking. Besides, the colours on this scan are more natural. I also received donations from both Warstorck and freedomland. Thanks guys! Would have loved to watch this about Christmas. Any chance? Goodness gracious me, this is unbelievable. My wish, or what they did to the beauty of this film?